The Facebook profiles of Mark Zuckerberg and his wife Priscilla Chan cannot be blocked because they have reportedly been blocked so many times that the social media giant is stopping it happening. As strange as it sounds, it's true. 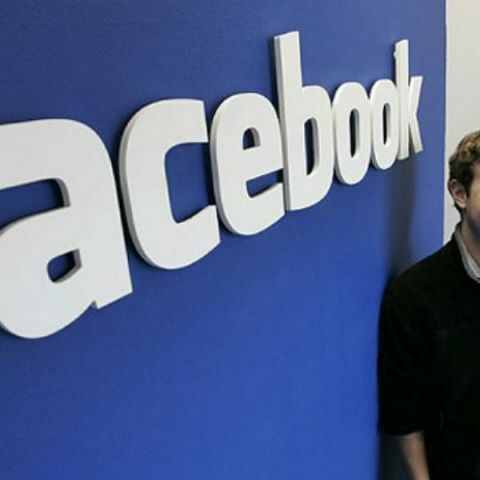 Facebook profiles of the CEO of the social network, Mark Zuckerberg, and his wife Priscilla Chan cannot be blocked by users because they have reportedly been blocked so many times that the social media giant does not allow anyone to block their profiles anymore. When people do not want to see posts from someonw, they either unfriend them, stop following them or block them entirely. However, If the block button is pressed on both Marka or Priscilla's profile, a message saying "Block Error" will be returned -- meaning that there "was a problem while blocking Mark Zuckerberg or Priscilla Chan" and you should "try again". Zuckerberg shares various frequent updates on Facebook, including news about his personal life and statements on current events surrounding the company on his personal page. According to a report in The Independent, those posts then seem to benefit with help from the Facebook algorithm and are interacted with, pushing them onto people's news feeds. Blocking the Facebook founder and his wife was a useful way of keeping those posts from appearing before the feature itself was banned. The blocking ban for the Facebook founder and his spouse has been in place since 2010 and even led to a now-defunct website that exists only to point out that it's impossible to block Zuckerberg, the report pointed out. This is because Facebook can only allow a person to be blocked a certain number of times and once that limit is reached then they can no longer be blocked. which has more influence ??? Can anyone suggest the best tablet may be under 10000? My website is suddenly blocked!